The Seekers and Triple-Changers were again disappointed that this was just another drill, but hopefully they will appreciated the battle-readiness training when the actual impending attack comes (as Shockwave calculates with 87.35% certainty it will). 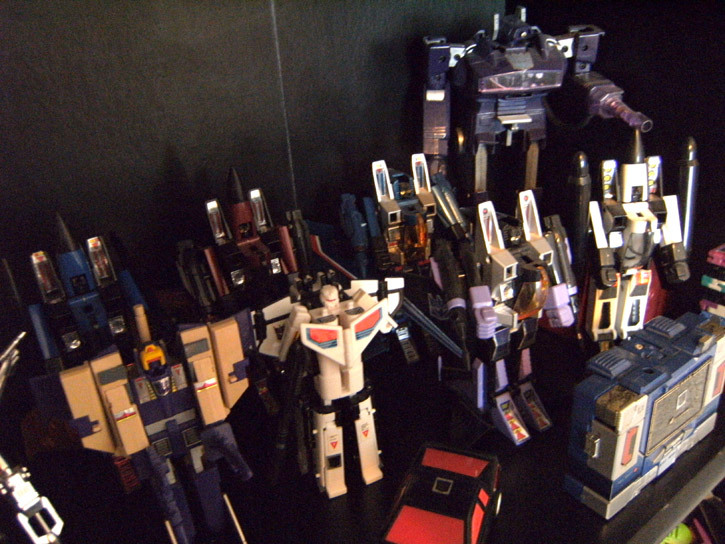 Featured: Shockwave, Dirge, Thrust, Thundercracker, Ramjet, Skywarp, Astrotrain (Japanese colors), Blitzwing. Background: Soundwave (cassette deck mode), Runabout.